Who is the hottest person online? We don’t know, but we need to find out. That’s why this week ClickHole will be hosting “Hot Mr. Online”—the first international beauty pageant held entirely on the World Wide Web! Men and women alike are welcome to participate in this all-male beauty pageant designed to celebrate the hot virtual bodies of online internet users here on the World Wide Web. Who will be this year’s Hot Mr. Online? It could be you. And it could even be…your relatives! Hot Mr. Online will start tomorrow, August 18, 2015, and everyone is welcome to enter the first round. There will be a grueling elimination process, and only the most beautiful, talented, and, most importantly, HOTTEST participants will move on to subsequent rounds. Just follow the hashtag #HotMrOnline tomorrow for instructions on how to enter. 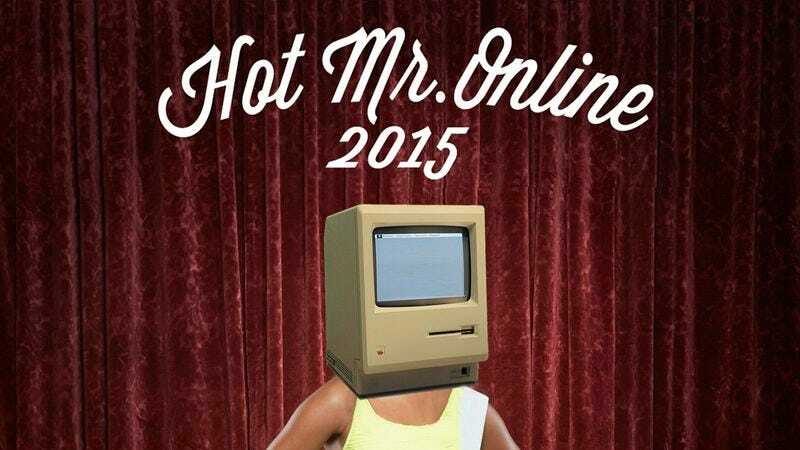 Get ready, internet…because it’s going to be…HOT…MISTER…Hot Mr. Online!